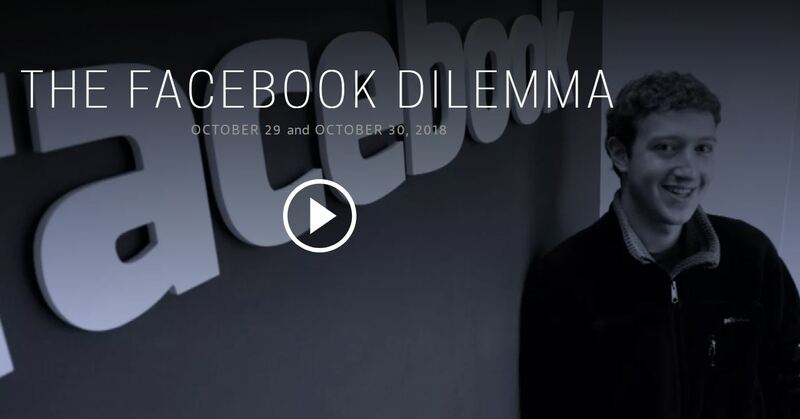 “The Facebook Dilemma,” is a must-view. The 2-part documentary, produced by Frontline on PBS, aired the last week of October prior to the midterm elections. The producers at Frontline offer a measured and well-documented analysis of how various global players have “weaponized” Facebook to bring the world closer together, to abet and incite revolutions, tilt elections and monetize the privacy of Facebook users. Part one of the documentary recounts the history of Facebook back to Mark Zuckerberg’s dorm room at Harvard and the company’s early days in Silicon Valley. It analyzes the impact of Facebook’s seemingly innocuous “like” button and how it enabled the company to monetize its users’ News Feeds. Part two of the documentary analyzes the impact of Facebook in elections and uprisings throughout the world. It offers an unvarnished and cautionary account of the power of nefarious players creating fake sites that share content with real news organizations. It discusses how and why polarizing and inflammatory posts get the highest engagement and make it to the top of the News Feed thanks to the power of Facebook algorithms. Throughout both segments, five Facebook executives discuss that the company was focused on the “good things“ that Facebook could bring about. They reiterated their beliefs that the company was “too slow to understand” how a variety of nefarious players were able to weaponize Facebook in the Middle East, Russia, Asia, Europe and America. The most interesting interviews are with individuals outside of Facebook discussing their warnings to the company. These individuals included journalists, academic researchers, cyber security and privacy experts from the Philippines, Egypt, Ukraine, and North America. Below is a link to the documentary.